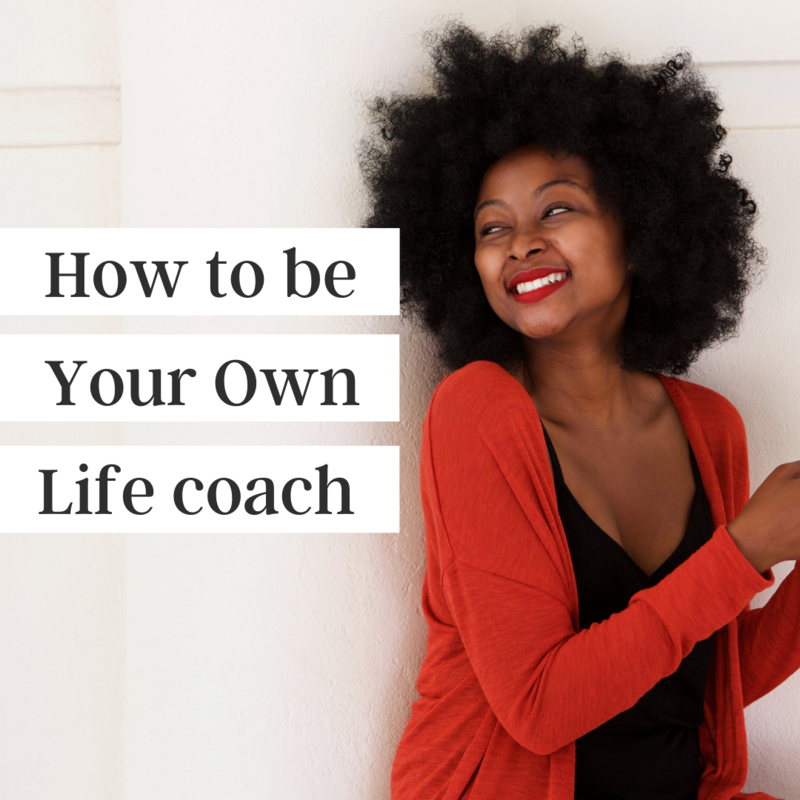 Have you ever wondered what the heck a life coach actually does? You’re not alone. Simply put, coaching is about creating massive breakthroughs in life for people around the world. Perhaps coaching isn’t an expenditure you’re prioritizing right now, but you’d still like to practice more intentionality when it comes to your personal development. That’s why I am excited to share with you a few of my favorite DIY coaching exercises today. They will help you start to shift your perspective, and understand the power of coaching before you hire your first coach. These exercises may seem simple, but they’ve made a massive impact in the lives of my coaching clients (and they’re ones I use myself!). Sound too good to be true? It isn’t. Far too many of us are addicted to the feeling of being busy—we have convinced ourselves there’s no possible way we could commit time to our new goals because we’re already strapped for time as it is. We rush from commitment to commitment, grabbing food on the go and always arriving a few minutes late. There’s no room to fit in anything else! If we’re willing to give up the busy addiction, we suddenly start feeling more spacious in our hours and days. When we begin to reject the notion that we must show up, and instead embrace the idea that every action and commitment is a choice, our schedule starts to free. Spend time structuring your ideal version of your day. Think and dream big. Print off or create a blank agenda for the day, broken down by hour. Start by making a list of everything you’d love to do in a day if you could. Include tasks and activities from each aspect of your life—health, spirituality, self-care, and business are great places to start. Block out the absolutely non-negotiable pieces of your calendar—but be careful. Most things are negotiable. Section off the part of your day where you’re required to be at your desk at work, for example, or the hours you need to rest for your best productivity. Fill in the rest of your calendar with your desired activities, and commit to doing them. When you aren’t idly using time on Netflix or internet browsing, you’ll be amazed at how much more you can achieve. As you saw in the first exercise, being intentional with our time is a key way to prioritize more of what matters to us and minimize the time we spend on activities that feel draining. While the structuring of our day is helpful on a macro level, it’s still easy to get distracted when we’re in the weeds of our daily work. That’s why I’ve developed this simple prioritization tool to use with my clients whenever they’re feeling bogged down with an endless to-do list or stuck in the endless revision process on a not-quite-perfect blog post. The tool is simple—a prioritization scale. For each task on your to-do list for the day, rate it 1-5. A 1 task has the least impact on you (or your business), and a 5 task has the most impact. The rating will determine how many minutes you’ll spend to accomplish that task. The prioritization tool works because it gives you a definitive end time to cut through the feelings of overwhelm or desire for perfectionism. Sometimes it’s difficult to wrap up a project, and we end up wasting valuable time tweaking when we could be moving on to the next project. The key to using the prioritization tool is committing to the time frame—when your time is nearly up, you need to commit to completion and moving on. Start to think of a work-life balance as a constant practice, rather than a destination where you arrive. Spend some time each day thinking consciously about what you’d like a balanced life to look like, and how you can adjust your current situation to bring you closer. Find small ways to remind yourself throughout the day that balance is a process, and there’s no pressure to “achieve” it. I hope these exercises serve you as you get started down the path of conscious personal development. These are just a starting point, so don’t stop here. If you’re ready for a season of change and transformation, working one-on-one with a life coach is a powerful way to jumpstart your journey with additional resources, insight, and accountability. I’m currently accepting clients for my 2017 one-on-one coaching practice, and I’d love to help you reach your goals. Schedule your free call here to determine if coaching is a good fit for you now! Laura Weldy is an ontologically trained life coach for women who are ready to ditch the analysis paralysis and start making massive headway in the direction of their dreams. Learn more about her work and how to get involved at www.thewellsupportedwoman.com. Coaching is all the rage. If you’re an executive, entrepreneur, or looking to improve your health, it may seem like everyone around you is either working with a coach or has in the past. 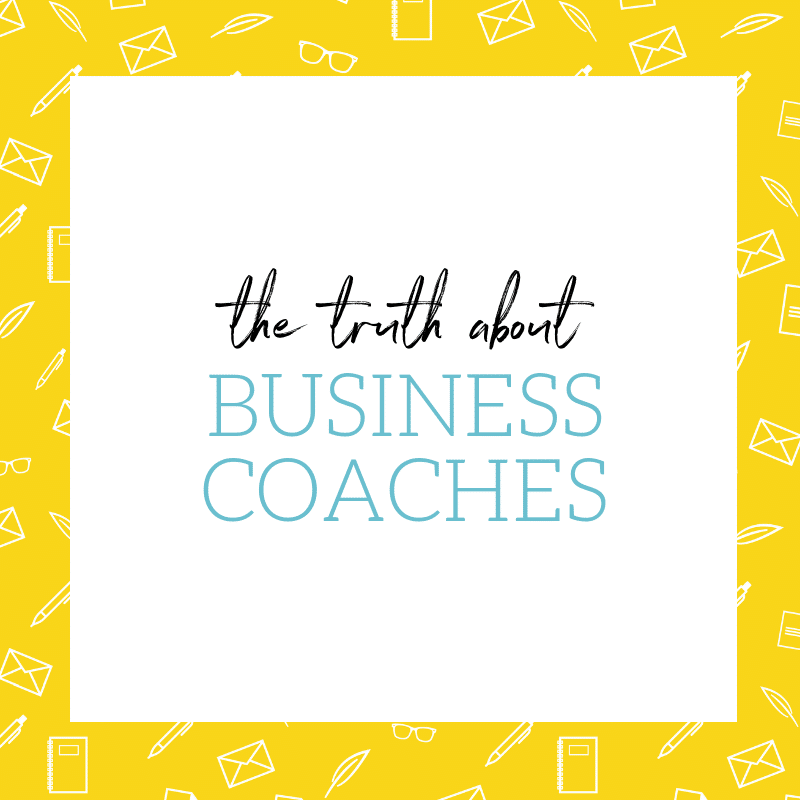 But, because coaching is a relatively new profession, and there are so many kinds of coaches, it can also seem intimidating and unapproachable to someone hiring a coach for the first time. For all its variety, the coaching field isn’t quite the mystery it may seem from the outside. In fact, there are a few things you should expect from a great coach, whether they’re helping you with your relationships, business, or career. One of the central tasks of a coach is to “hold the space” for her client. What does that really mean? Basically, a client is provided an open, non-judgmental place where she can express her thoughts, fears, and dreams without fear of being criticized or ridiculed. When working with a coach, you should feel free to be completely honest and open about what you’re thinking or feeling. It will be awkward at first, but a good coach should be able to help you with those concerns and provide you room to say what needs to be said, so you can get what you want from the coaching relationship. Holding the space also means your coach isn’t going to “attach” to your thoughts, beliefs, and feelings about a particular situation. They aren’t going to accept the story you’re telling yourself about why you can’t succeed at business, why your career has stalled, or why you can’t find time to exercise. While they won’t judge your thoughts or feelings, they will invite you to explore them objectively and determine which are serving you best. Your coach is not your friend (although he or she may become a friend after coaching has ended). She’s not there to commiserate with you, agree with everything you say, or take your side. This may not feel great at first, but it’s through this non-judgmental, objective nudging that growth takes place. A great coach is a great listener. Particularly early on in a one-to-one coaching relationship, you should expect a coach to spend a majority of her time listening to you and getting to know your perspective and concerns. She should be extremely focused on what you say. While there may be times when your coach offers tools, tips, or approaches to address your concerns, the best coaches will continually check in and want to know how their teaching resonates with you. Coaches listen with more than just their ears. They listen with their intuition, experience, and hearts. They should also be able to hear what is left unsaid—the thoughts, feelings, and emotions behind your words. The best can sense when a client is holding back, when there is more to the story, or when a well-placed question can get a client to the next level of learning. Coaches are full of questions, and great ones will push you to answer questions that may be really tough. Questions that stretch your mind, your imagination, or your concept of who you are and of what you’re capable. Questions that brush against hidden fears, assumptions, and past hurts. The best coaches know they don’t have the magic answers that will work for your life, your business, or your career. They also know that by relying on their skill and experience and asking you the right questions at the right times, you can uncover those answers together. As a client, you shouldn’t approach coaching like a test. You aren’t supposed to easily answer the questions your coach asks you. You’re supposed to dig deep, explore your own mind, and develop a new understanding of yourself and your world. You don’t need to worry about getting the right answer, either, because there usually isn’t one. Just be open and honest and let the process develop. Too many people seek a coach because they’re in some way looking for a magic solution to their problems. That’s a big mistake. Entering into a relationship with a coach isn’t a way to avoid hard work. In fact, working with a coach may be some of the hardest work of your life. A great coach is going to push you further than you think you can go. She’s going to nudge you out of your comfort zone and require you to question long-held beliefs. Depending on the particular type of coaching, you may work through fears and doubts that are difficult to face down. Working with an exceptional coach shouldn’t be miserable, but it shouldn’t be a pleasant stroll through the park, either. You should expect to feel stretched a little past your limits, and sometimes confused and frustrated, too. These are the sensations of growth. Embrace them. Accountability often gets a bad rap. It seems too stiff, or cold, or demanding. And it can seem just a little bit boring. But, great coaches know when clients are in the process of developing new mindsets, behaviors, and habits, most need some type of accountability. Very few of us can deal with the self-doubt and discomfort of developing new patterns in our lives without some type of external accountability. Coaches have a wide range of tools at their disposal in this area, and you should expect to see some combination of these during your work with them. That being said, a coach can only do so much to help you meet your goals. At the end of the day, all the accountability practices in the world will only work if you are committed to your own growth. Hiring a coach for the first time can seem intimidating, but it doesn’t have to be. While each coach has his or her own particular style, the best coaches have a few very important things in common. Understanding these will give you a head start on finding a great coach. Leslie Beale is a success coach who helps professional women and entrepreneurs develop careers and lives that allow them to truly thrive. Her clients learn to build their confidence, keep stress from running the show, and set priorities that really matter to them so they can finally find the sense of balance they’ve always wanted. A former lawyer and executive, Leslie is committed to helping bright, ambitious women build the lives they’ve always wanted. Check out her website at ProfusionStrategies.com, or find her on Twitter or Facebook. Want to find a mentor? It’s a lot like falling in love—it doesn’t happen overnight and it you may have to kiss a few frogs before finding “the one.” If you’re ready to find a mentor you’ll love, approach the search like you would dating, and you’re likely to have success. When dating, you hit the bar, search a matchmaking site, or ask friends for a setup, all in an effort to explore your options. When finding a mentor, the professional world becomes your dating pool. When you go to networking events or read industry publications, who most impresses you? Who are the people you admire? Whose brains would you most like to pick? Start a list and don’t be afraid to think big. The worst that can happen is you get shot down. You can consider people in your own field, but you may want to stick to those who are more established than you so as to reduce the worry about them stealing ideas or clients from you. It’s also okay to look outside your field. The goal is simply to find someone who thinks strategically, asks great questions, and has had some measure of success. After ranking your wish list of mentors, begin at the top and research your own networks to find common links for an introduction (LinkedIn is perfect for this). Just as a you’re more likely to go on a blind date arranged by a friend you trust, these folks are more likely to accept your invite if they first learn of you from someone they know. If you don’t have a common link, you can either continue down your list until you find one, or cold call (or email) your top candidates. Get creative, or follow this great guide from The Muse for crafting this conversation. Don’t be disappointed if the attempts go unanswered, but wait to move on to your next choice until you’ve gotten a rejection or you’re sure you’ve been ghosted. Once a potential mentor responds, ask politely for a meeting over coffee (your treat) and promise not to take more than 30 minutes. You’d never bring up marriage and kids when asking someone on a first date. Likewise, arranging the first meeting with a potential mentor is not the time to ask about formal structure. Instead, tell the person you admire them and their career (make it clear you researched them) and would like to pick their brain. You don’t know them well enough yet to be certain they’re a fitting mentor, and they don’t know you well enough to commit to an ongoing relationship. After your first “date,” analyze the meeting. Did you leave feeling inspired and motivated? Did the potential mentor ask insightful questions? Did you get actionable ideas? If so, there’s potential in the relationship. If not, move on to another candidate. Keep up this process through as many mentors and dates as needed. When you’ve spent enough time with someone to know they are exactly what you want in a mentor, it’s time to pop the question. After thanking them for the time they’ve already given, ask if they are willing to put structure around what is already an informal mentoring relationship. Ask for regular meetings, action steps (ie, homework), and accountability. It’s unlikely you’ll hear ‘no’; they probably wouldn’t have continued to go on so many dates with you if there wasn’t a spark for them, too. Word of warning: This process may help you see that mentor monogamy isn’t your style. You may realize you prefer to have several go-to advisors for different needs, or that you simply prefer being a serial dater who meets with as many smart people as possible to learn from a wide variety of sources. After years of dwindling passion for my career as a writer, I recently had a revelation about how I could tweak my mission and services to advance to a new level of personal and financial fulfillment (I’ll share more about these changes soon, I promise). This evolution wouldn’t be easy and I knew I’d need help, so I began searching for a mastermind group I could join. Masterminding is basically peer-to-peer mentoring. These groups have been around for decades and are very popular among highly successful people. After researching them a bit, I knew my business could benefit from tapping into a collective intelligence. (Want to know more? Read Four Reasons You Should Join a Mastermind Group.) I reached out to my social networks, looked on Meetup and Craigslist, and did a Google search, but couldn’t find a mastermind group in my area that was accepting new members and didn’t charge a hefty fee. So, I started my own. 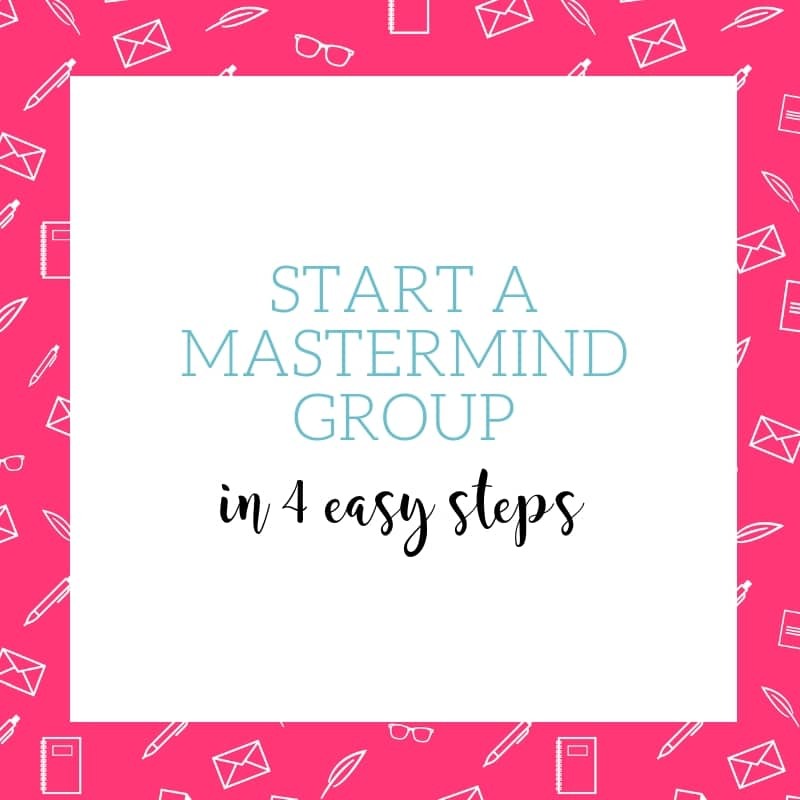 Ready to start a mastermind group? Here are four simple steps. Generally speaking, groups are kept small (five in my case) so each person must be committed and have something to offer. Think about the types of people you want in your group (demographics, industries, personalities, etc.) and then examine your networks to target people who meet those criteria. A mastermind group is only as good as its members, so selecting wisely is critical. Don’t be afraid to reach out to strangers. You never know who may currently be looking for exactly what you’re offering. I reached out to a blogger group on Facebook and people in my professional network and then culled down to four people who were a perfect fit. We are each in different industries so there’s no competitive weirdness, and we all share similar philosophies about abundance and positive thinking. The purpose of STL Mastermind Group is to inspire and challenge each other to reach and exceed goals. Each member is committed to her own success, as well as the success of every member of the group. STL Mastermind Group is a network of like-minded people with whom members can learn, share, and grow. We are: Committed (we meet in person or virtually for 1 hour every week); Present (there is no multitasking or distractions during meetings); Collaborative (we listen without interrupting, lecturing, or judging); Encouraging (we celebrate each other’s successes without jealousy); Honest (we participate by giving thoughtful feedback); Open (we listen to different perspectives without being defensive or offering excuses); Vulnerable (we trust fellow members enough to share fully); Fun (focus is important, but we also think it’s important to have fun during meetings); and Authentic (this is a no-BS zone). You need a way to weed out anyone who isn’t a good fit for your group and goals. Write rules for your mastermind group that keep out bad seeds. I send this to potential members: “This group is group therapy nor a time for endless self-promotion and lead generation. It’s not a place for preaching, secret agendas, bitching, or backbiting. It’s a collaborative, supportive group of people committed to taking the next steps in their business to achieve their goals.” Also, masterminding doesn’t work if members don’t participate. A membership fee or punitive system for absences can encourage engagement. We elected for the latter; our $5 fee per missed meeting will fund an end-of-year group dinner. There are two typical models for mastermind meetings. There’s the hot-seat approach, where meetings focus on members’ businesses on a rotating basis. One member gets the entire time one week, another gets it the next, until all members have had a meeting and the rotation starts over. This allows each member to do a deep dive and have plenty of time for thoughtful feedback from other members. We opted, however, for the inclusive meeting structure, where time is divided equally among all members. We have 1-hour meetings, where each member gets 10 minutes to use as she wishes (typically, 5 minutes explaining a pain point in her business and then 5 minutes of feedback), and then we finish by sharing resources and setting goals for the next week. We also use a private Facebook group to continue conversations between in-person meetings. One last thing, if you’re already in a mastermind or consider joining an existing one, read about the 5 signs of a bad mastermind to make sure it’s a great fit. Oh, and if you’ve never attended a mastermind retreat, check out the reasons I think you should consider it.